Spring is here and although it has not yet felt very spring like, the extra daylight is most welcome at the end of the day. The Hilary term has drawn to a close and we are all ready for a good rest. I would like to congratulate all the pupils who participated in the Brighton Springboard festival. A very well done to you all! A special mention goes to Cameron Bickell who came second in his age group category of ‘Performed Prose Reading’ with a distinction. Another special mention goes to Annabelle Walters who came third in her age category ‘Solo Speaking’ and who also received the good news that she passed her prep test singing exam. Well done! This week has been a whirlwind of school activities. Our fabulous Deepdene Parent Association has arranged a trio of fundraising initiatives and my sincere thanks goes to all parents who have very kindly given their time to support the events. The uniform sale was the busiest I have ever seen it and I was delighted to hear so much money was raised – all for Project Playground. The Monday evening quiz was well attended and everyone thoroughly enjoyed themselves. It really was great fun and I imagine it will be held again in the future. On Wednesday, the PTA treated pupils in the school to an Easter Egg Extravaganza! There was an egg hunt for lower school pupils and a rather competitive quiz in the school hall (involving chocolate) for pupils in Years 3, 4, 5 and 6. All the pupils enjoyed themselves; thank you to all who organised this event for the pupils. Also this week, pupils have participated very impressively in our Sports Relief sponsored challenge. 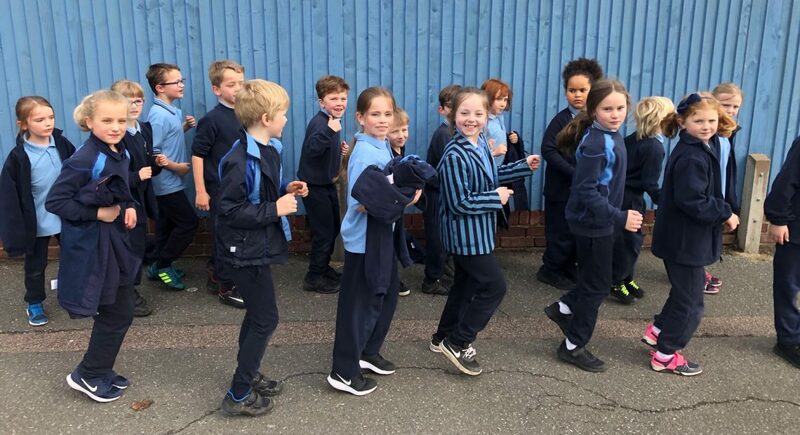 Collectively, pupils ran 80 miles (From Brighton to Bournemouth) and we have raised £435.15. What an incredible sum! Thank you very much for your generous donations and support with this event. Finally, I send you my good wishes for the Easter break – enjoy spending some very happy time with your wonderful children.